Today would have been Whitney Houston’s 49th birthday, so in her honor TriStar Pictures is honoring her memory by encouraging folks to check out the trailer for her final film. “Sparkle” which will be released in theatres next Friday (August. 17.). I’ve already seen the film and it was a real tear jerker for me. The film does includes a few moments that seem eerily prophetic, especially when Whitney says to these girls who play her daughters: “Was my life not enough of a cautionary tale for you?” Houston’s character asks at one point. Whitney Houston starring as the mom of three daughters who start a Motown girls’ group, was a bit unrealistic to me. Houston’s character is a former singer wary of the perils of showbiz. She sings “His Eye is On the Sparrow,” which is sure to be a moving moment on the big screen and seems destined for an iTunes release as a single. Happy Birthday Whitney Houston, 6 months after your death and you’re sorely missed! happy birthday in heaven whitney. Tracy how you get to see sparkle before its released? I would just like to say “Happy Birthday” to the legendary Whitney Houston! Peace + Love to you baby. I wish I had appreciated Whitney more when she was alive. Now that she’s gone I realize how TRULY one-of-a-kind she was. Same for Phyllis Hyman. Just started listening to her and was blown away at how powerful and heartfelt her vocals were. We remember Whitney Houston on what would have been her 49th birthday. Happy Birthday to THE VOICE, Whitney Houston. To the greatest Singer of all time – Happy Birthday Whitney! We celebrate two legendary musicians’ birthday this month. Both Whitney and MJ celebrate their birthdays in August. Whitney on August 9th and MJ August 29th. May their souls rest in perfect peace. Whitney on August 9th and MJ August 29th. May their souls rest in perfect peace. Yeha but today let’s let it be about Whitney. It’s her day. *cries hysterically* love you ms. houston. Happy Birthday to Ms Whitney!!! Whitney was such a great woman and she loved her daughter y’all!!! she loved her daughter y’all!!! to bad she didn’t love Bobbi Kristina enuff to live for her by chosing life not drugs. 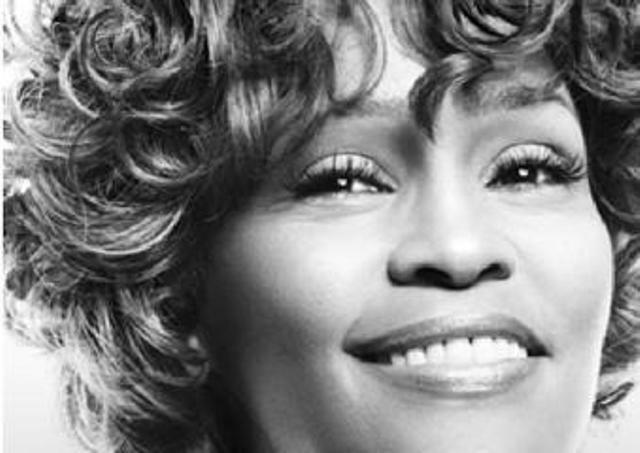 Happy Birthday Whitney…it’s sad that you didn’t live to see 49. RIP Whit…..one of the greatest to ever do it. I still can’t believe she’s gone =( R.I.P. Whitney. We will always love and never forget you. Oh @ Nicole, that’s one of my favorite song of hers. “I Will Always Love You” is mine.. I wanna dance with somebody is my jam! That smile and that voice! You are forever loved and will always be remembered. I feel foolish wishing Whitney Houston a Happy Birthday It’s not like she’s here to read all the well wishes. Media and SOME using her birthday to shamelessly promote the movie. Mm Hm but Happy Birthday Nip RIP. i’ll be going to see it 🙂 Can’t wait. Wished Tracy would of said more about it. Me too LuLu….I need to see the original first!!!! I think I’m going to pass on seeing this movie. With the exception of Whitney, I think the acting would be sup-par to say the least. Plus they’ve change the story line so much…….no thank you:-(. No Felicia don’t want to give the movie away. I will say this though; it was written to suit Whitney. She def. Changed the script. Ok I’m not saying anything more. I will say this though; it was written to suit Whitney. She def. Changed the script. See that’s why I’m not anxious to see this movie. If the script was written around Whitney that means she made sure “her character” was an EX entertainer. in the original sparkle i believe their mama was a maid and saw how drugs and men was tearing them (the sisters) apart which is why she didn’t want them to pursue stardom. I know the movie is all WHITNEY hype which is why I ain’t PRESSED to see it. The original sparkle wasn’t all that truth be told. Happy Birthday Whitney you will forever be missed. I loved the original Sparkle and saw it a million times and hope they did justice with the revamp. We’ll see. HBD Queen Whitney “Happy Birthday” i shole do miss u!!! Happy Birthday to one of the greatest to ever do it. RIP Whitney. Can’t wait to see Sparkle! whitney the r&b diva who did it all. Whitney was so gifted and talented….I still can’t believe she is gone. It makes me sad to even think about it. I watched VH1 Soul on Aug.9th, her bday. They were playing her videos and let me tell you I was just mesmerized how much of a talent and beauty she was. Simply gawjus!!!! Gone to Soon!! !